Wood floors and wood paneling have re-emerged as one of the trendiest ways to finish the interior design of a home. Reclaimed wood is great for wooden flooring, which has many advantages over carpets or tiles. 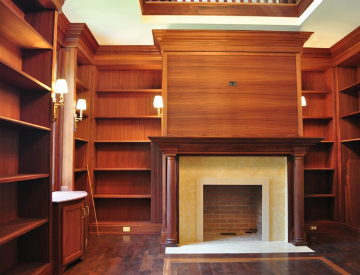 If you’re planning on having a library in your home, you can also consider wood paneling design to add that authentic feel. Finding the right contractor should always be the first step in any home renovation, as they’ll be able to guide you in finding the ideal style of your library and help you choose the wood paneling you need. The type of wood paneling design you choose will largely depend on the atmosphere you want in your library. Dark woods will create a warmer, more rustic atmosphere, but if the room is small you may find that it will become oppressive and dark. Lighter woods will create a more airy and cheerful atmosphere, great for a family library and study. Also take a look at the other accessories in the room and decide if they are predominantly warm or cool in tone, as certain woods will work better with warm tones and others betters with cold tones, which will also impact the atmosphere of the library. Libraries are traditionally paneled in library paneling, beadboard or raised paneling, with many older libraries having the first third of the wall covered in beadboard and the other two thirds covered in library paneling. A less traditional design would have only the bottom third paneled and the rest of the wall painted or covered in wallpaper, which will result in a cleaner, fresher look. Tiefenthaler are experts in both interior and exterior home design and we can provide custom paneling to meet your needs. Contact us today to arrange a consultation at a time that suits you. 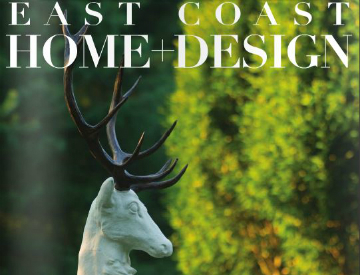 East Coast Home + Design is a great magazine that shows off the latest home design trends and features many of the up and coming interior and exterior design firms that can make your dream a reality. Please join us in celebrating this great editorial coverage of Tiefenthaler by referring t pages 74 to 85 of the May/June issue. We have over 30 years of experience with a wide variety of building and construction processes, and can tackle any job, from a new construction to preservation of historical buildings and new additions to existing buildings. Interior design trends keep changing from year to year and it’s easy to find that your interior areas become dated quite quickly. Updating your living space is a great way to keep your home feeling fresh and will ensure that you have use of space possible. Finding a reliable contractor should be your first step when you decide to remodel your kitchen, as they’ll be able to advise you on what you can do with the space you have. 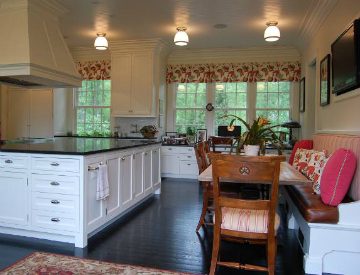 Once you’ve spoken to a contractor, it’s time to decide what style and look you want. Kitchen styles are now moving away from the bland and sterile white kitchens that have dominated the upscale kitchen design trends of the past couple of years, which will be a relief for many messy cooks. Warmer metal tones, such as copper and brass are becoming more popular, though their use tends to be as an accent rather than a dominant color in the kitchen. Rustic warm tones are also popular in the kitchen, with natural materials being used much more often. You’ll see plenty of exposed brickwork and wooden beams coming back, making the kitchen a warm and homey place to spend your time. If you have a white kitchen, there are still plenty of things you can do to update the look, such as adding natural wood accessories or solid splash-backs made of marble or stone. You can also consider replacing your cold granite countertops with wooden butcher’s block countertops, which will make the space feel warmer and more natural. Tiefenthaler has plenty of expertise in upscale kitchen design trends and we’re willing to help you remodel or redesign your kitchen to make it feel fresh. Contact us today to arrange a consultation and we’ll ensure you have the kitchen of your dreams. When you look around your current home and decide it’s time to make some changes, you have many important issues to consider with respect to renovating versus new construction. Either decision has long-lasting implications for your budget, happiness and lifestyle. The construction experts at Tiefenthaler specialize in both new home construction and major renovations, and can suggest a few factors that you should carefully weigh before taking the leap. 1. Design preliminary sketches of both a renovation vs. a new home to see what the benefits to each choice. 2. Ask Tiefenthaler for a free, preliminary quote on each of the options to renovate or build a new home. 3. Consider whether you can live in your home during the renovation vs. moving out and renting a temporary residence while you build a new home. In Fairfield County, renting a place large enough to house your family and belongings can add upwards of $100,000 to the cost of building. That said, the inconvenience of trying to live in your home during a major renovation does not suit everyone’s lifestyle either. Be honest with yourself and budget accordingly. 4. Consider your current neighborhood- how convenient is your work commute? Are the school systems great? What about the real estate taxes? It’s possible that moving to an adjacent town and building a new home or renovating an existing home in that town may offer you and your family better options than staying where you are now and trying to renovate. 5. No matter what your decision is, have an open mind and a positive attitude. It can be very FUN to renovate and/or build a new home. Choose your architect and builder carfeully as you will be working side-by-side for close to a year or more. Please contact a specialist at Tiefenthaler if you have other questions on renovating versus new construction. We can help you work through additional factors that are specific to your household and needs, and can make recommendations based on your circumstances. Every year, the American Society of Landscaping Architects gets together to discuss and explore the latest trends in design for exterior spaces, and the results have recently been released for 2014. Many professionals like those at Tiefenthaler rely on the ASLA outdoor design trends in planning exterior projects, for both new home construction and existing spaces. Here are a few of the landscaping ideas that are turning heads this year. Exterior living areas that include features for meal preparation continue to be popular. More homeowners are installing outdoor kitchens, rotisseries and brick ovens in addition to the traditional grills. Fire and water features are in demand as families spend more time outdoors entertaining guests. Fountains, ponds and small-scale creeks add to the peaceful atmosphere, while outdoor fireplaces allow households to spend more time outdoors in the early and late seasons. Native plants are the latest trend among homeowners who want easy care landscaping. These plants are used to their environment, which means they don’t need excess sunlight or watering beyond what they experience in the back yard. Rooftop gardens are gaining acceptance among urban dwellers. Not only do they provide a wealth of produce and herbs for households that want to grow their own food, but they offer insulation from the elements and lower energy bills. The latest in lighting is always among the ASLA trend report topics. From ambiance illumination to task lighting, outdoor enthusiasts need to be able to see their gorgeous space. Solar-powered lighting continues to be an energy-efficient choice. 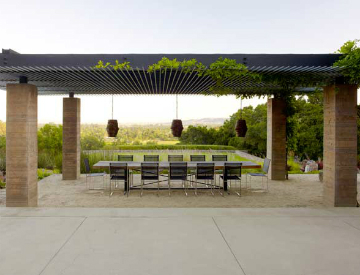 The professionals at Tiefenthaler stay current with the ASLA outdoor design trends, as well as the latest developments in new home construction and large scale renovations. Please give us a call to hear more about our work, which includes both interior and exterior home improvement and transformations. 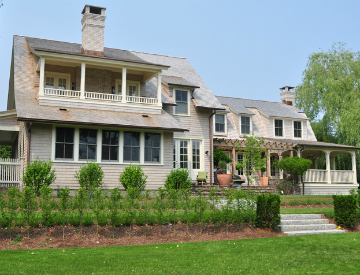 Now that you’ve decided to purchase a custom built new home, it’s time to start looking into New England architects that can help make your dream come true. Tiefenthaler Construction works closely with many architectural professionals throughout the region, and our experts know the important questions to ask when you’re trying to find the right fit. 1. What is your design approach? If you like classic interiors, you’re not going to work well with an architect who concentrates on modern, edgy styles. 2. What challenges do you foresee in completing this project? Ground breaking of your new home is not the time to discover that your architect sees problems. Ask before you hire an architect to determine whether he or she sees roadblocks or potential delays that can hinder your project. 3. How are fees for materials and labor calculated? You’ll want to know how your architect is earning the money you’re paying, and it’s important to find this information out before a dispute arises. Inquire as to how you’ll be charged for your architect’s services and other staff, as well as costs for materials. 4. What will be required of you as the home purchaser? If you need to provide input or participate in meetings, it’s best to know this in advance. You can plan and prepare for the project better if you know your level of involvement. 5. How will you communicate with your architect? Whether it’s email, phone or text, you need to establish how you contact your professional with questions, concerns or changes. 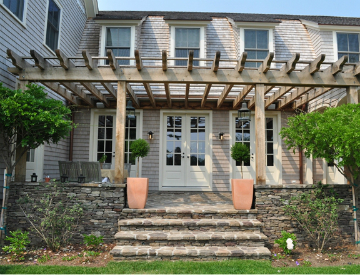 Please give us a call to find out more about the New England architects Tiefenthaler works with in connection with our custom built new homes. Our close, professional partnerships help us bring quality craftsmanship and construction services to satisfied residents throughout the area.